When it comes to understanding of these terms, many beginners the baking have had certain difficulties. The most common questions are: When and how they should use these products or for which purpose are been used, has been something that they have not known? Continue with reading and find out how to utilize these two ingredients in your kitchen. Many different baking recipes and Indian breads usually contain the baking soda. This chemical compound could be activated if is used in a combination with ingredients with acidic nature such as curd, buttermilk or lemon. Then, the dough is raised. Most commonly is used in cookies, pan cakes and Indian bread. 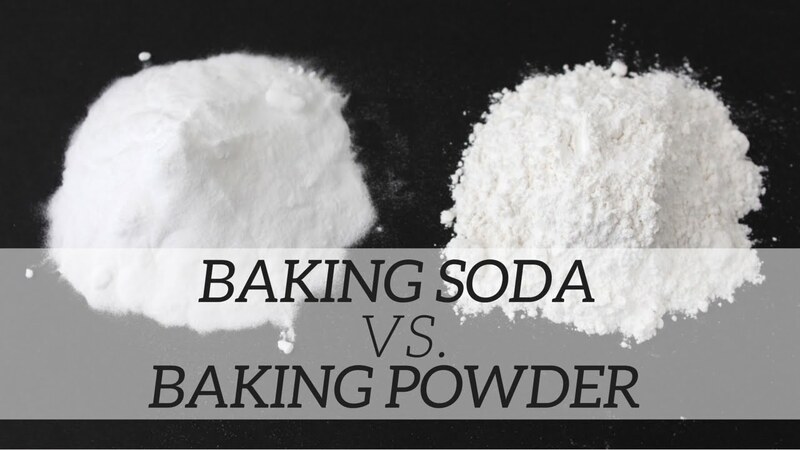 You should be aware of the fact that your recipe would get bitter taste, if you add more soda than you actually should, so always add baking soda in the right needed quantity. In order to have a brownish color of your cookies and cakes you can add a bit of baking soda. The baking powder has been contained of baking soda and an acidic nature ingredient, such as the cream of tartar and it has been a rising agent as well. So, the baking powder has been a double acting rising agent. When you mix it in the dough and batter and once again when it has been heated the dough or batter it is sign that it has been activated. Add baking powder in order to rise your cakes, but you also can add it in recipes where there is not included any ingredient of acidic nature such as curd, vinegar or lemon juice. The baking powder will be raised while the cake has been heated.